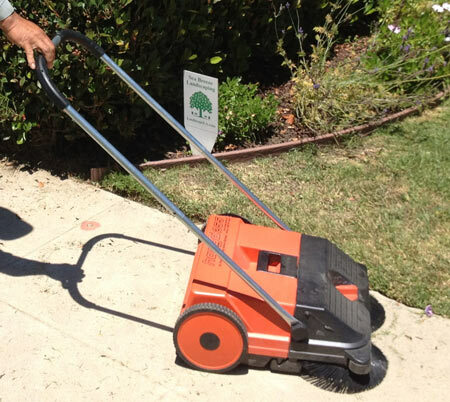 Here at Sea Breeze Landscaping we are very concerned about our environment and how our operations can foster an environmental friendly and sustainable future in Los Angeles. We have taken a number of steps to significantly lower our carbon footprint and our impact on our surroundings. We have retrofitted all of our interior lighting to use one half of its former energy. To lower our automobile emissions our organization operates 6 natural gas powered Honda Civic GX’s. We also drive a Hydrogen Fuel Cell powered Honda Clarity. We utilize a 14,000 GVW natural gas powered Isuzu box van to our fleet in order replace our gasoline powered box van with a much cleaner vehicle. We operate a natural gas powered Ford Transit on one of our "all electric" routes. We are highly knowledgeable about California native plans and work well with gardens comprised of drought tolerant plant materials. 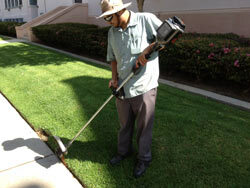 We can plant and maintain beautiful gardens that are “water wise." We can install efficient sprinklers and drip systems and use natural fertilizers to create an eco-friendly way of feeding your lawn. 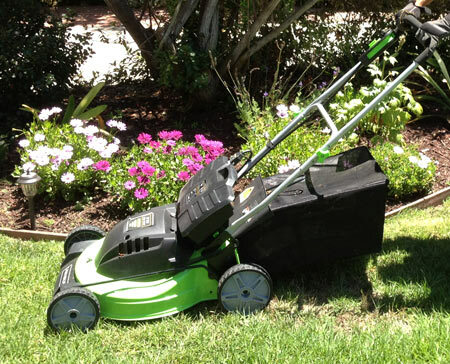 We use only CARB (emission standards) approved gas powered landscaping machines. We are proud to have a patent pending on a dust suppressing attachment for leaf blowers (see video). 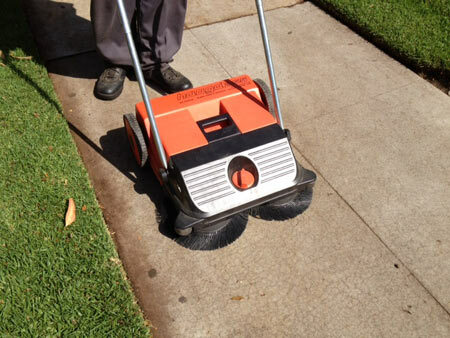 This device dramatically reduces the particulates generally raised into the air by the operation of traditional leaf blowers. Eco dust and particulate suppression "OFF"
Eco dust and particulate suppression "ON"